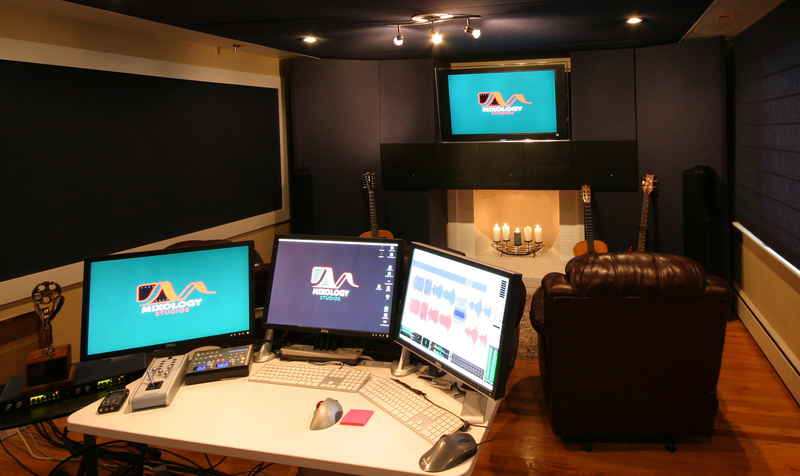 Mixology, the personal recording, editing and mixing space of Boston-area audio post professional Jeff Largent. The studio features Genelec’s SE DSP Monitoring System. NATICK, MA, November 10, 2009 — The SE™ (Small Environments) DSP Monitoring System from Genelec, the world leader in Active Monitoring technology, is designed to solve many of the acoustic problems associated with small recording and mixing environments. And that’s just what it’s done for Mixology, the personal studio of Jeff Largent, a Boston-area audio post professional and an instructor at the famous Berklee College of Music. Largent needed a compact but highly accurate monitoring system for his studio, and Genelec’s SE DSP Monitoring System was the perfect solution. The system offers Genelec’s outstanding performance in a high-quality, affordable and easy-to-use package that is ideal for near field monitoring, mobile/location recording, digital audio workstations, broadcast and TV control rooms, surround sound systems, home studios and multimedia applications. Genelec’s SE DSP Monitoring System combines the SE7261A 10-inch DSP subwoofer with 8130A digital input active monitors (5-inch bass drivers and 3/4-inch tweeters), for easy configuration as a sub-assisted stereo or multi-channel reference system. Software control is reassuringly simple with the SE7261A DSP subwoofer providing all necessary network connections to the host computer and supplying extensive DSP resources through its high-pass AES digital outputs to the 8130A’s. Like all Genelec DSP systems, the new SE System is designed to adapt to the user’s listening environment accurately and quickly. Photo Caption: Mixology, the personal recording, editing and mixing space of Boston-area audio post professional Jeff Largent. The studio features Genelec’s SE DSP Monitoring System.